Dan is a Canadian professional poker player. He was born on 1985. He lives in Vancouver, B. C. He is a two times winner of WSOP bracelet. That makes him famous in poker world. Before entered in to poker he was a hockey player. He learned poker from his brother Adam Schwartz. He started his poker career since 2007. He played his first game on Feb 2007 in World poker tour in Las Vegas where he finished at 38th place and cashed $28,855. Then on august 2007 he visited APPT Philippines in manila where he finished at 24th place and cashed $4,794. He made his career’s first shot on Nov, 2007 in British Columbia poker championship in Richmond where he won the first prize of $409,890. This was his best live cash. He first visited the WSOP on Jun 2010. In 41st WSOP he became runner-up and cashed $263,243. Meanwhile he travelled APT and EPT championships’. Then the day came in his life when he won WSOP bracelet first time on June, 2011. In 42nd WSOP he won the final table and cashed $372,642. 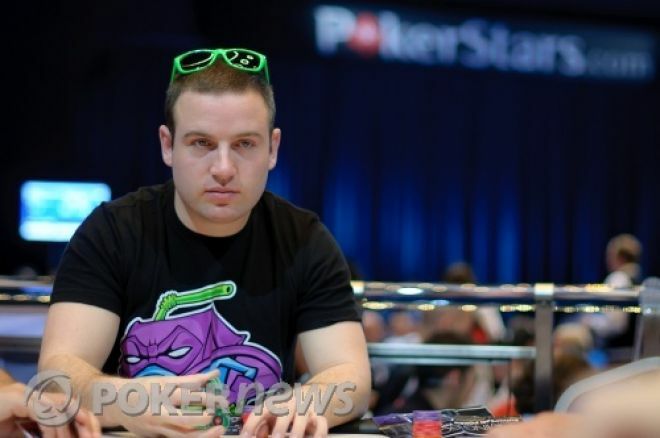 In Aussie millions poker tournament, Melbourne on Jan, 2012 he got 8th place and cashed $128,684. On June 2013 at 44th WSOP he repeated his victory by winning final table twice and won Gold bracelet twice. He earned in this championship $181,590. Then he visited 45th WSOP on Jun 2014 in Las Vegas where in 2-7 draw ball he got 25th position and in six handed event he got 5th position and he cashed around $30,000. In Last time he played on Oct, 2014 at deep stacks poker tour in Edmonton where he finished at 5th place and cashed $20,004. His total live earning is exceeds beyond $1,836,385 with 35 cashes and three titles. His Canada all time money list rank is 36th. And his Global poker index rank is 485th. He is concentrating on upcoming tours.